Regular merchandising audits allow to investigate a company's goals and strategy and also give you a reading on customers’ reactions to your product that translate into their satisfaction and loyalty. Merchandisers perform regular retail visits to help CPG companies stay competitive by making sure that their products are correctly displayed on shelves, efficiently promoted and always in stock. Merchandising software solutions give merchandisers easy access to all merchandising and sales data and tools required to perform in-store activities and provide managers and supervisors with an opportunity to manage all merchandising-related activities in one easy-to-use system. To help companies improve merchandising performance in the field, VisitBasis prepared a step-by-step guide to streamlining merchandising activities. Hope it works! Determine a party responsible for merchandising performance. Merchandising audits can be conducted using a company’s workforce or outsourced. 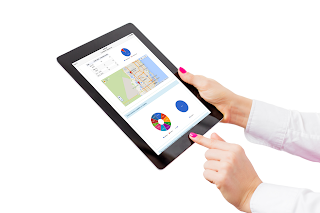 In-house merchandising audits provide higher quality of retail data and faster data workflow. Merchandising software allows conducting merchandising audits with highly professional approach to retail data data collection and managing mobile workforce in the most efficient and cost-effective way. Decide on a frequency of merchandising audits. The schedule of merchandising audits is determined by the specific of each organization’s business processes. Merchandising software provides managers with new scheduling opportunities, including planning merchandising audits in bulk for any periods of time, cloning the schedule of visits from one merchandiser to another, and using mapping tools to assign retail locations to merchandisers. Set up the areas for merchandising audits. The main purpose of merchandising audits is to ensure that a product is located on the shelf in accordance with marketing strategy in the most appealing manner and customers can easily find and buy the product. Besides, depending on company’s goals, merchandising audits may cover the issues of stock availability, storage conditions, and quality of service, store equipment, promotions, POS materials, and competitor analysis. Develop task templates for merchandisers. A task template should include actions to be performed by a merchandiser at point of sale. To cover everything that should be checked during a merchandising audit, group questions into tasks and set up merchandising task templates according to the natural course of the visit. Merchandising software allows you to easily create various task templates with different types of answers (photo, text, numbers, multiple choice, electronic signature) and attach images, PDFs, videos and multimedia materials to task templates to make tasks as clear as possible. Monitor in real time merchandising activities. Empowered with a mobile merchandising software solution, your merchandisers can perform merchandising audits on their tablets and smartphones while the managers are able to monitor all the activities on the map and communicate with merchandisers directly through the application. Merchandising software virtually eliminates fraudulent check-ins among merchandising teams by allowing supervisors to track and monitor each field rep's activities in real time and by GPS and time-stamping every activity. Real-time data workflow speeds up decision-making and improves merchandising performance. Analyze retail data collected by merchandisers. Merchandising software solutions provide team leaders with an opportunity to receive instant reports and manage operational priorities in real time. The web-based dashboards and reports help you identify productive employees and perform workflow analysis, taking informed strategic decisions using reliable up-to-date data. To learn more about how to optimize your merchandising activities visit www.visitbasis.com.